Seventeen members of former and serving cabin crew are planning legal action against British airlines, claiming they have been poisoned by contaminated cabin air. Reports seen by the Victoria Derbyshire programme and submitted to the air safety watchdog show that there are hundreds of so-called ‘fume events’ each year - where engine oil and other toxic chemicals may have leaked from the engines into the plane itself. The airline industry says there is no scientific evidence of any danger to public health. 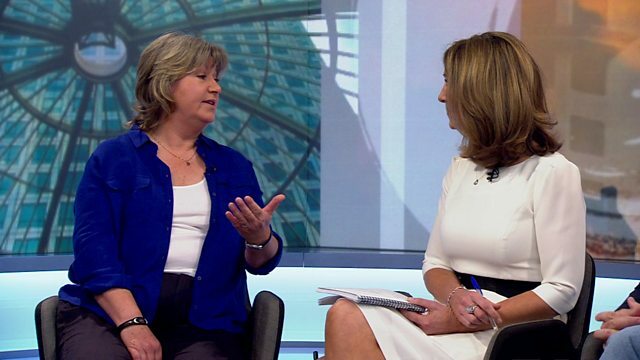 Dee Passon, a former air stewardess who believes she is a victim of toxic air syndrome, David Learmount, a former pilot and consulting editor at the trade magazine Flightglobal and Howard Beckett, director of legal affairs for the Unite union, joined Victoria to discuss the claims. British Airways, the trade body for airlines, the regulator the CAA and the airline minister all declined to take part.